For Valentine’s Day this year, the indie-popsters Yeasayer delivered a heart-shaped (or rather head-of-an-aging-biker-shaped) box of nostalgic synth-pop candy in the form of the fourth single from their 2010 sophomore album Odd Blood. 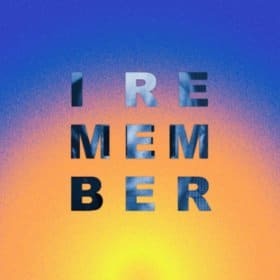 The song’s called “I Remember” and in addition to delivering a typically strange/gross/cheesy/beautiful video (not quite as distractingly icky as their last), the band has made a three-track EP of the song available for free download. Awwwwww. How sweet, right? The EP contains the original album version of the song along with two remixes. The first, by Painted Palms (who posted their own free EP a couple months ago), is a small-but-lovable psychedelic trifle. At just under three-and-a-half minutes, it doesn’t go much of anywhere, but it sounds cool enough. But the second remix, by the Belgian house dj duo Villa is an eight-minute widescreen epic of digital-age longing – a sonic Doctor Zhivago for the Facebook set – built around the song’s original structure and vibe (no thumping club beats here!) but heightening its atmosphere and drama with patterns of glitches and loops to make the whole thing feel like a night spent alone in a city apartment, watching the nightlife below as it happens without you, and wishing upon a falling drunk that the phone would ring.